Finish up your Holiday shopping at this month’s 3rd Weekend Fling in the Springs beginning Friday. Enjoy free carriage rides. Find unique gifts for everyone on your list at any of our 75 exclusive shops located off the beaten path, and away from the hustle and bustle of the big box stores. In addition to convenient later shopping hours, Dark Star Books will be having a sale, 15% off new books and 20% off new books. Many shops including Asanda and Yellow Springs Pottery, will be providing refreshments and holiday treats to enjoy while you shop; so come make merry with them and find the perfect gifts for the all the people on your list! For the art lovers on your list, there will be several gallery openings and sales including “would you, could you” In A Frame featuring Paula Womacks, at 113 Corry, The Village Artisans gallery at 100 Corry and The Eddie Eckenrode Gallery at 232 Xenia Ave. In addition, Yellow Springs Montessori will be offering babysitting from 6-9 at the 1st Presbyterian Church for a suggested donation of $10 per child. Reservations are requested, but not required by calling 937-319-6148. After an evening of Shopping and Gallery Hopping, Ye Old Trail Tavern will feature DJ Clean Gene and Sunrise Café will be serving one of a kind Martinis as well as offering items from their tapas menu. Peach’s Grill will feature live entertainment in a friendly atmosphere; both Peach’s and Sunrise are open until 2:30 am. Saturday will be filled with holiday fun for the entire family at Kings Yard there will be Reindeer Games and a “Best Elf Costume” Contest. The Yellow Springs Brass band will be performing throughout downtown starting at 11:30. 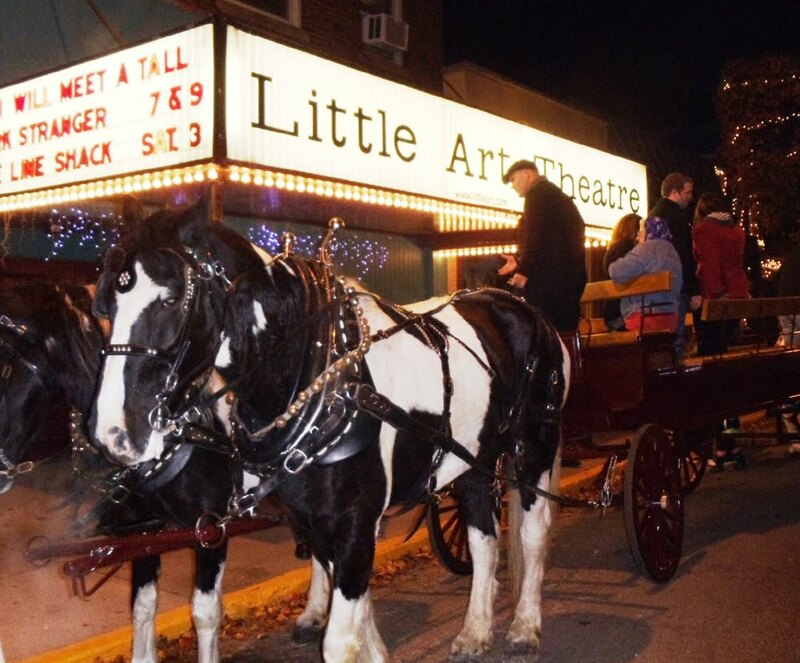 The 3rd Weekend Fling begins December 17th and encompasses all of downtown Yellow Springs. So come shop, eat, and relax off the beaten path! For more information, please contact the Yellow Springs Chamber of Commerce at 937-767-2686 or visit DestinationYellowSprings.com.